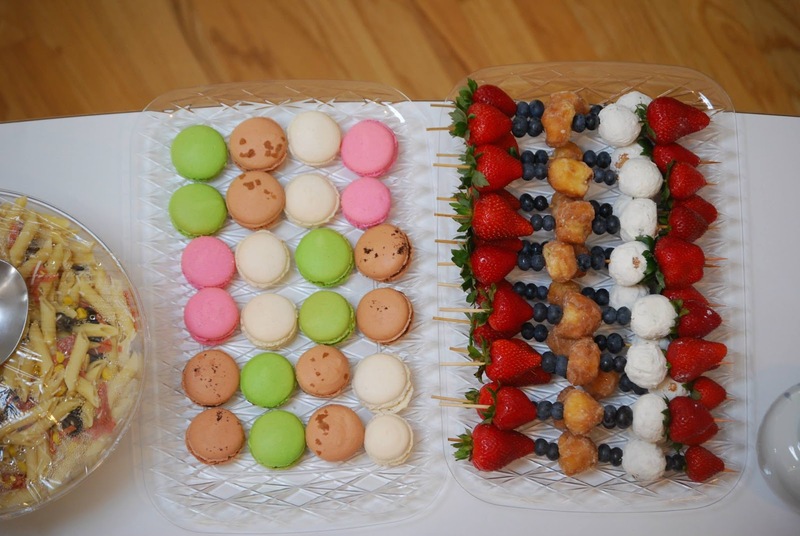 Yummy macarons from Bakery Nouveau and donut hole skewers c/o of Pinterest! ;) Taken by Myduyen! I chose to wear an tribal patterned a-line shaped dress that I got recently from Target (they've been making some cute summer dresses!). I love how it's a simple black and white color scheme because you can pair it with any other accent colors such as metallic gold or whatever you want! It makes it the perfect summer dress to dress up and down with for any occasions even with a print like this. How would you dress up or down tribal print? Don't forget to enter my Blogiversary giveaway (here)! Win a J.Crew or Madewell giftcard! I love the print of your dress! I've been going to so many bridal/baby showers that little Summer dresses are so important! Super cute dress, Sheila! Target is the best, isn't it?! Super cute dress! The food set up looks great - love the skewers! What a pretty little dress, the print is fab! I love this prints, I'd add some denim for a summery twist. Looks like the shower was so much fun, loving the macaroons! cute look Sheila. Oh the food is lovely. Oh wow donut skewers, another reason why Pinterest is so addicting. fun! i love bridal showers! Such a pretty dress! I love the print! such a cute outfit! i love the mixture of black/print and the gold accents! You ladies looked beautiful! Sheila that tribal print looked gorgeous on you and I love how you paired it with a metallic. Great belt & sandals! Beautiful! Please check out my blog at http://www.loveolia.com! Hope you’ll follow via bloglovin! I love how you styled the dress with all the gold jewelry! Those donut skewers look SO yummy! Such a cute dress! Love the gold with it! I ADORE the dress! It looks nice and dressed up with the gold belt! Those goodies look delicious! Sheila, you look lovely in this tribal print. I also love the treats!